Sean Sullivan, executive director of the Maine Brewers' Guild, at the annual New England Craft Brew Summit in Portland on Thursday. More than 500 people from the brewing industry around the country attended the conference. The crowds of people at the New England Craft Brew Summit, many of them sporting caps and shirts emblazoned with their favorite beer brand, answered the question of whether Maine’s craft beer scene is slowing down. Maine had more than 120 brewers as of this January, up 30 percent over the 93 in January 2017, according to the Maine Brewers’ Guild. Sullivan talked to the Bangor Daily News during a break in the third annual summit, which was held Thursday in Portland. The guild hosted the summit, which attracted more than 500 brewers and other industry people. He said brewers have spread outside the well-known craft beer mecca of Portland, including recent or planned breweries in Boothbay, Westport Island, Searsport, Auburn, and large expansions like Orono Brewing Co.
Sullivan said that’s a big deal, because more people will ask for local IPAs, including those brewed in Maine. The past couple years the brew summit featured keynote speakers in the beer industry. But this year, with a theme of “growing your business,” the keynote speaker was Natalie King, executive vice president of Stonewall Kitchen, who characterized her growing company as still a “craft” business. She recalled that Stonewall started at a farmers market, and her brother, who co-founded the company, needed to provide a company name for the provisions he was selling. He looked at a nearby stone wall, and the name stuck. King said part of Stonewall’s success in growing outside the state was to keep the product quality high, using the best ingredients possible. It is the largest purchaser of wild Maine blueberries from Wyman’s of Maine in Millbridge. And while Stonewall still ships out more than 4 million catalogs a year and sends out 1 million emails a week, its York store gets 500,000 visitors a year, acting much like a beer tasting room, she said. “We open 4 million jars of jam a year in our company stores for tasting,” she said. The company does make one beer-flavored product, its Maine Craft Ale Mustard made with Allagash Tripel Ale. While adding new flavors and keeping the quality and taste interesting, she advised new brewers to hire enough people to grow. “The biggest mistake people make when they grow their business is to not hire people,” she said. And while packaging counts, “the quality of what is inside is the most important thing,” she said. 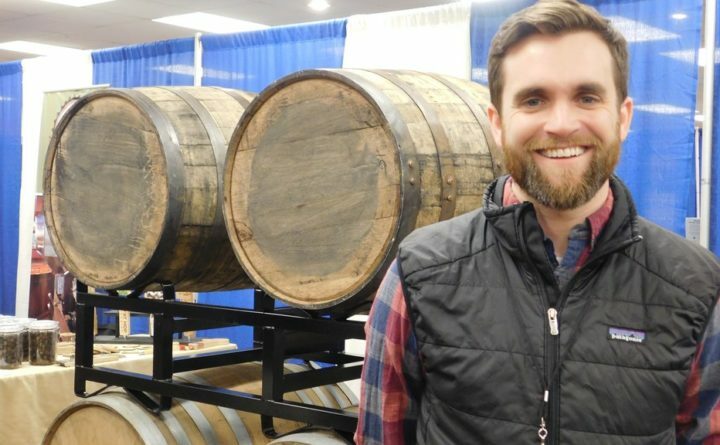 Dan Kleban, co-founder of Maine Beer Co., and Tim Adams, co-founder of Oxbow Brewing Co., who spoke together in a business session about expanding outside of their local community, agreed. Both companies still sell bottled rather than canned beer. Adams said he keeps control of his product by selling through personal relationships he has with distributors in the states and areas into which Oxbow has expanded, including the District of Columbia. “This is a relationship business,” Kleban said. Efficiency also is becoming a hot area in the brewing business. Ian Hughes, the new sustainability ambassador of the Brewers Association, said brewers can save a lot of money by keeping track of energy use. For example, a brewer averaging 900 barrels a year, which is a smaller brewing amount, might be brewing at an average cost of $65.78 per barrel. But using more efficient lighting, greenhouse gas emission controls, wastewater management and other factors could more than halve that to $32.31 per barrel, saving $30,123 annually, Hughes said. He encouraged brewers to check with their local utilities and efficiency programs such as Efficiency Maine to look for rebates and other savings. In an increasingly crowded market, with out-of-state brewers selling in state, including Colorado’s New Belgium “Fat Tire” brand, Maine’s brewing industry is finding other ways to distinguish itself. Maine Coasters & Bio-Boards said earlier this week is plans to make Maine wood-sourced beer coasters. And River Drive, a cooperage in Gorham, showed a new riser at the craft brew summit. The riser, which says “Brewed with grains fro Maine,” can be screwed into the tap handle to show that beer from that tap was made with local ingredients.